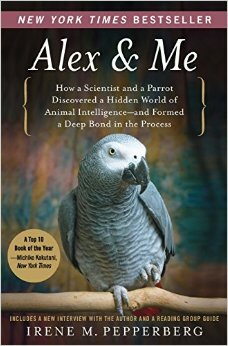 The Paws & Effect Book Club selection for September 2015 is "Alex & Me: How a Scientist and a Parrot Discovered a Hidden World of Animal Intelligence--and Formed a Deep Bond in the Process" by Irene Pepperberg. Pepperberg, a scientist who studies animal cognition, tells the story of Alex—short for "Avian Learning Experiment"—an African Grey parrot who mastered a vocabulary of more than 100 words, and was able to answer questions about colors, shapes, and objects. In her research, Pepperberg indicated that Alex's language abilities were comparable to those of dolphins and great apes. In the book, she also tells of other avian examples of intelligence and understanding. "Paws & Effect is deeply committed to celebrating and contributing to research about the human-animal bond, and the roles that animals can play in our lives," says Executive Director Nicole Shumate. "That's why our book club uses titles like 'Alex & Me' as foundations for discussion. That's why we're partnering with brain researchers at Des Moines University. And that's why our latest litter of future service dogs is named to honor individuals such as co-founder of Pet Partners Leo Bustad; primatologist Jane Goodall; and animal scientist and autism activist Temple Grandin. In addition to 'Leo,' 'Goodall,' and 'Grandin,' we have our own 'Alex'!" The book club discussion will take place 6:30 to 8 p.m., Thurs., Sept. 17, 2015 at the Grand View University main campus library, Des Moines, Iowa. The library is located on East 14th Street, between Grandview and Morton Avenues. For directions to campus and maps, click here. The book is also available available on Kindle format. Central Iowa-based Paws & Effect has recently been named a Pet Partner Community Partner by Pet Partners, the "largest and most prestigious non-profit registering handlers of multiple species as volunteer teams providing animal-assisted interactions." The Bellevue, Wash.-based organization was formerly known as the Delta Society. "Being a Community Partner recognizes the efforts that our volunteers have made over the past eight years. Becoming a Community Partner is an incredible achievement, one in which I am certain our volunteers take great pride," says Paws & Effect Executive Director Nicole Shumate. "Having been a Pet Partners volunteer for more than 10 years, I have witnessed the power of the human-animal bond time and again. It is wonderful to know that Paws & Effect and the Pet Partners program will contribute to Iowa for years to come." Shumate's own experience as a Delta Society volunteer began in 2003, when she and her husband Eric—along with dogs Coffee Bean and Roggen—began conducting hospital visits in their previous state of residence. Established in 2006, Paws & Effect is a Des Moines, Iowa-based 501(c)(3) non-profit organization that raises, trains, and places service dogs with military veterans and children diagnosed with medical needs. The group also registers therapy animals through Pet Partners, and hosts dog-agility events. Paws & Effect coordinates the efforts of more than 75 Pet Partners teams in Iowa, and maintains multiple evaluators and instructors. The Community Partners program requires Paws & Effect to maintain multiple evaluators and instructors. This infrastructure ensures sustainability, providing routine opportunity for current Pet Partners to reevaluate and for new volunteers to attend a training course. Additionally, the Community Partners program encourages organizations to host events that promote the human-animal bond. Paws & Effect hosts a bi-monthly book club and is currently seeking submissions for its first-ever writing competition about the human-animal bond. Paws & Effect has scheduled additional trainings for their Pet Partners in 2015, which will include a Reading Education Assistance Dog (R.E.A.D) seminar next October. In addition to offering continual training and evaluation opportunities for handlers and their dogs, Pet Partners' Community Partners maintain rosters of 20 or more registered dog-and-handler teams. These volunteers provide therapy animal services to hospitals, healthcare facilities, schools, and other environments in a given geographic region. Central Iowans interested in becoming a Pet Partner are invited to attend the next training course from 8:30 a.m. to 4:30 p.m., Sat., Jan. 31, 2015 at Avondale Veterinary Healthcare Complex, 4318 E. Army Post Rd., Des Moines, Iowa. Cost is $75, which includes the Pet Partner manual. For more information, visit the national Pet Partners website here. To register, e-mail: nicoleshumate@paws-effect.org. Re-evaluations for existing Pet Partners is available Jan. 10-11 in Cedar Rapids, Iowa. Pet Partners with registrations expiring between Jan. 1 and June 30, 2015 are encouraged to participate. Contact Nicole Shumate via e-mail to schedule a time: nicoleshumate@paws-effect.org. 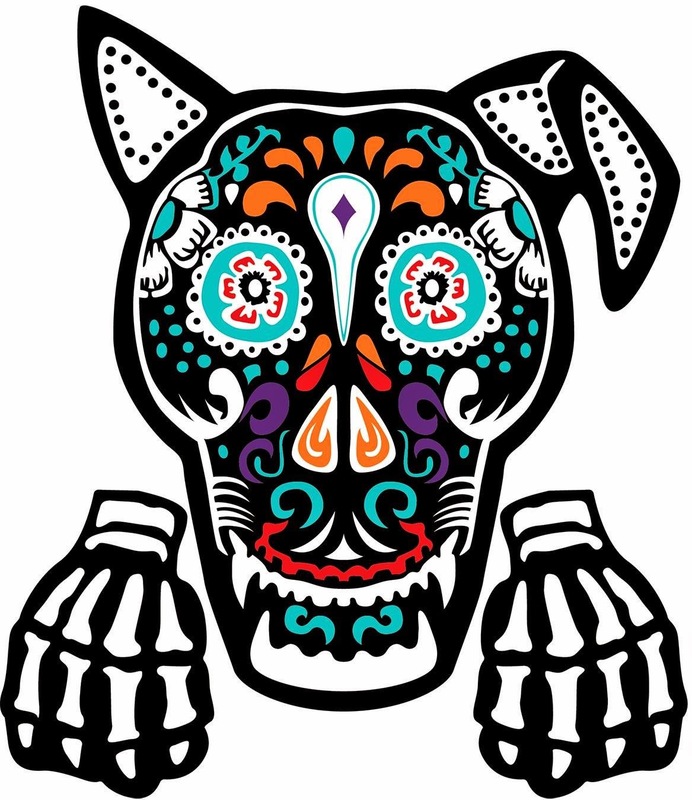 A pet-friendly celebration of El Dia de Los Muertos ("The Day of the Dead") will be hosted by Central Iowa non-profit Paws & Effect at Living History Farms, 11121 Hickman Road, Urbandale, Iowa, starting at 1 p.m. Sat., Oct. 18. Costumes are encouraged! El Dia de Las Meurtos is a traditional holiday that originates in Mexico and other Latino countries, during which family and friends gather to remember and celebrate their ancestors and other loved ones. It is usually observed close to Halloween. "We share our lives with pets and people," says Nicole Shumate, executive director of Paws & Effect. "Paws & Effect wants to create an opportunity to join together as a community, remembering and cherishing all those whose lives have touched ours." Since 2006, the non-profit has trained and placed service animals with military veterans, children with autism, and others diagnosed with medical needs. The organization also trains therapy animals and Pet Partners. A New Orleans-style memorial ceremony and jubilee procession will begin 1 p.m. at the Living History Farms' Church of the Land. Music will be provided by the Drake University Jazz Band. The upbeat procession will culminate at the Living History Farms softball fields, where music will be provided by El Dorados. Participants can purchase food from Magnolia Kitchen and Grocery, and sample beer from Peace Tree Brewing. Cost for the event is $25. Register on-line here. In addition to Living History Farms and Paws & Effect, the event is co-sponsored by The Daniel Sesker Memorial Fund and Iowa Chapter of the Enlisted Association of the National Guard of Iowa (EANGI). 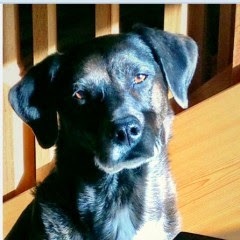 Hero Dog Awards: Vote for Cadence Before June 6! Since 2012, the American Humane Association's Hero Dog Awards program has recognized the animals that help humans in ways ranging from the everyday to the extraordinary. One of this year's 24 semi-finalists is Cadence, a 9-year-old black and white Catahoula whose charity partner is Paws & Effect, Des Moines, Iowa. Cadence began her mission as a therapy dog through the Delta Society's Pet Partners program in 2006. With love, patience, and strength, she has helped kids overcome seemingly insurmountable obstacles. Friends describe Cadence as even-tempered, but exuberant. "She's attracted to children and activity," says handler Nicole Shumate, who is also executive director of Paws & Effect. "She occasionally screams around the agility course—she has a career tally of exactly zero points in agility competitions—but absolutely loves being with kids." In 2007, Cadence helped to start the Abilities Through Agility program at ChildServe, a non-profit provider of specialized health care to Central Iowa children. There, she helps special needs children reach their rehabilitation and developmental goals through agility activities. Since then, the program has expanded to a number of therapy dogs who touch the hearts of ChildServe children on a weekly basis. Cadence has also broken barriers in the court system, recently helping a special little girl though an extremely difficult trial. The girl was housed at Youth Emergency Services & Shelter ("YESS"), and was a witness for the prosecution in an emotional case. Cadence helped the victim through the intense, agonizing court processes. Cadence—sensing the girl's vulnerability and unimaginable pain—dutifully curled near her feet each and every day, despite the stress and long hours. The assistant county attorney said, "I requested assistance from Cadence in facilitating communications with a child victim that was having a hard time ... Cadence provided companionship and distraction for the child, allowing the child to move past her negative feelings and work with me to proceed with the case." Vote for Cadence at this page. Each day until the June 6, 2014 deadline, voters may vote for one dog in each category. Those receiving the most votes will advance to finalist. 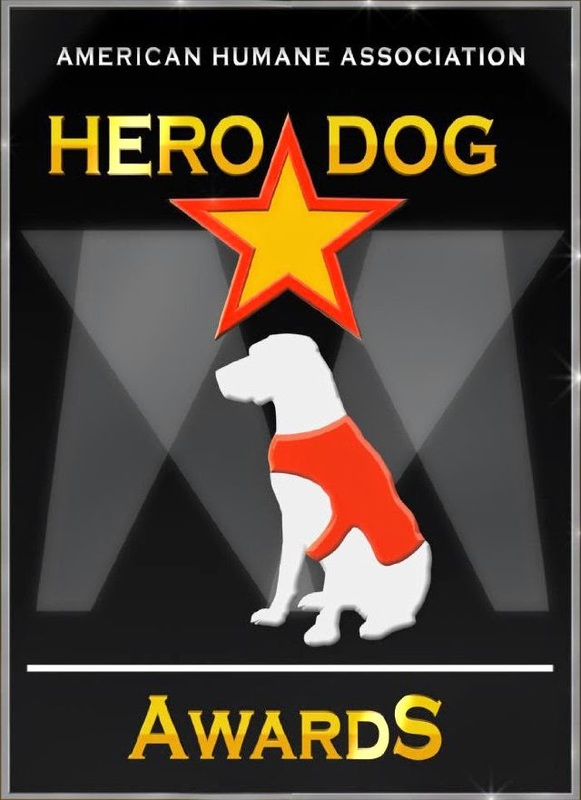 According to the Hero Dog Awards website, "every finalist will be presented with a Hero Dog award for their feats of loyalty, bravery, and love, and win $1,500 for a selected charity partner. In addition, one finalist will walk away with top honors as the winning American Hero Dog for 2014, securing an additional $5,000 for their charity partner."